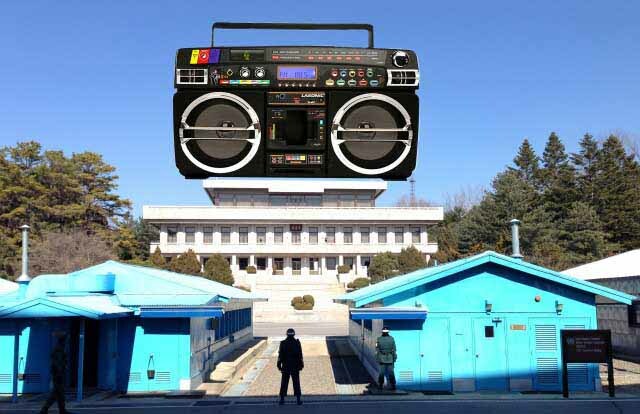 North Korea has retaliated against South Korean propaganda broadcasted through loud speakers by installing an enormous boom box at the demilitarized zone. Supreme leader Kim Jong-un is using his all time favourite cassette tape previously labelled ‘Jong’s songs’ to intimidate South Korean soldiers. One North Korean soldier has been handpicked by Jong-un and given strict orders to rewind the tape as soon as it reaches the end – experts say the soldier’s new position has severely reduced his life expectancy. There are rumours of a secret second cassette tape featuring songs such as ‘Dirty South’ by Goodie MOB and ‘Daddy’s Gone’ by Glasvegas.